The 8-eye 1460 boot is as iconic today as was when it rolled off the production line in the 60s, so we've updated it in our Carpathian leather. Oily full grain leather with natural tumbled texture, on top of our signature air cushioned sole. Our Reinvented range takes classic Dr. Martens styles and customizes them, playing with their history to create something new every season. Made with Goodyear welt, the upper and sole are heat-sealed and sewn together, not merely glued, like many footwear constructions. This, together with our Z welt-stitch and heat-sealing process, makes it unique. 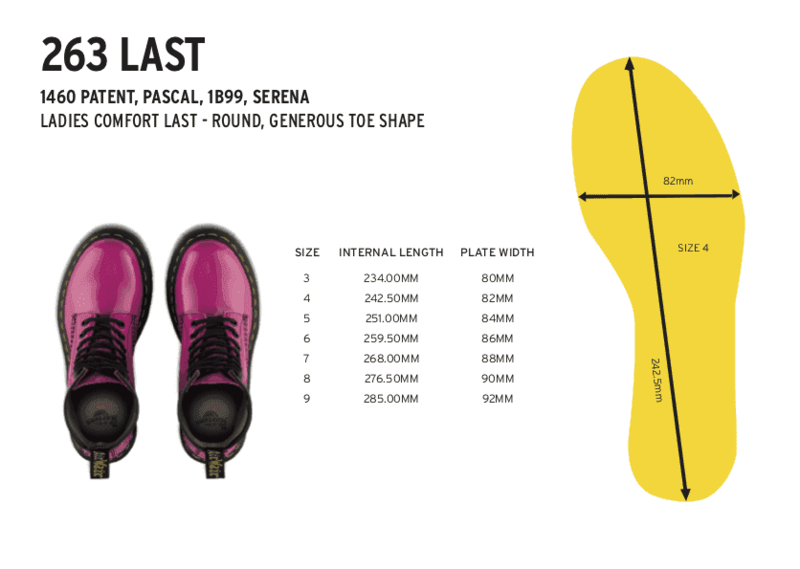 Dr. Martens have an air-cushioned sole, are oil and fat resistant and offer good abrasion and slip resistance.